Holiday is always a lot of fun and shopping is totally part of it. 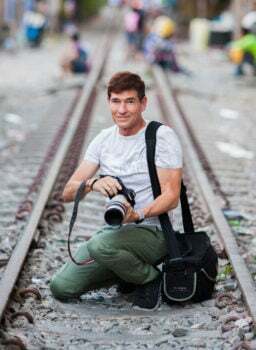 People often become someone else when traveling overseas, and while they maybe be very savvy when shopping at home, they seem to forget everything and fall for the silliest items. 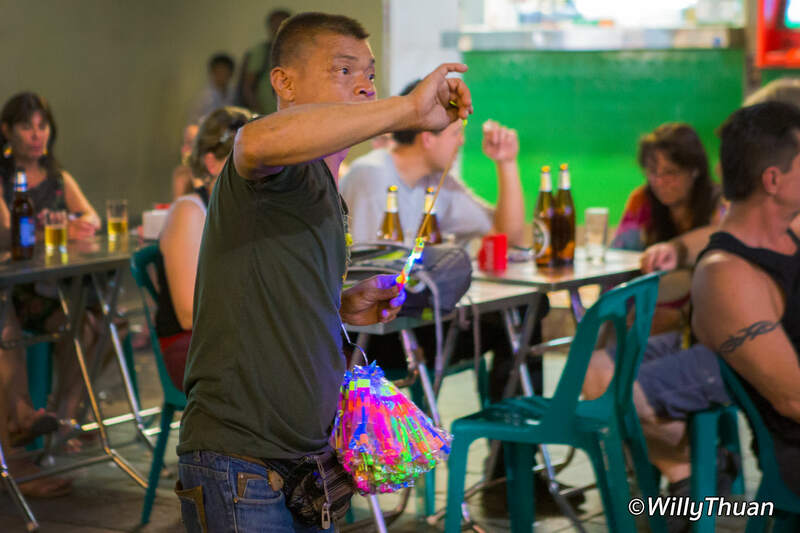 From our many years here in Phuket, we saw people buying some really fun souvenir, and the more they drink and party, the sillier these items become. And that is perfectly fine, it is part of the fun! Here are some examples… did you buy any of these yourself? 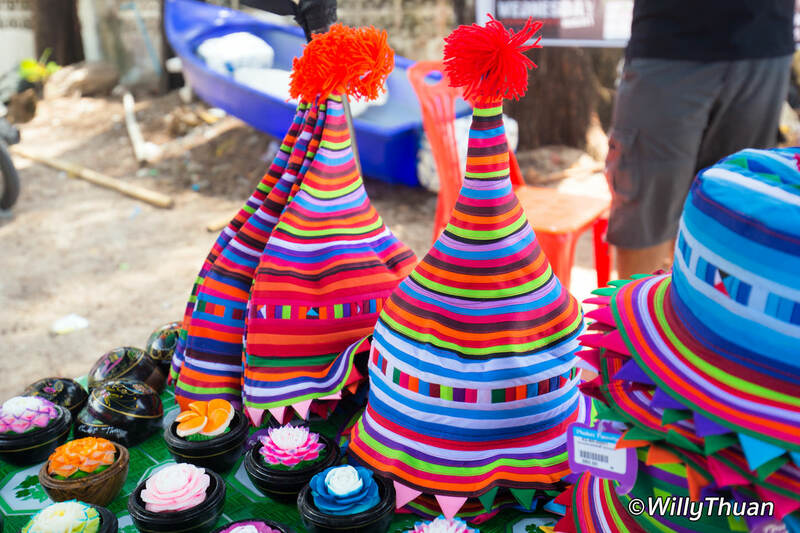 This pointy carnival hat made by the Lisu Hill Tribe in the north of Thailand gets the gold medal of the silliest objects you can buy here. 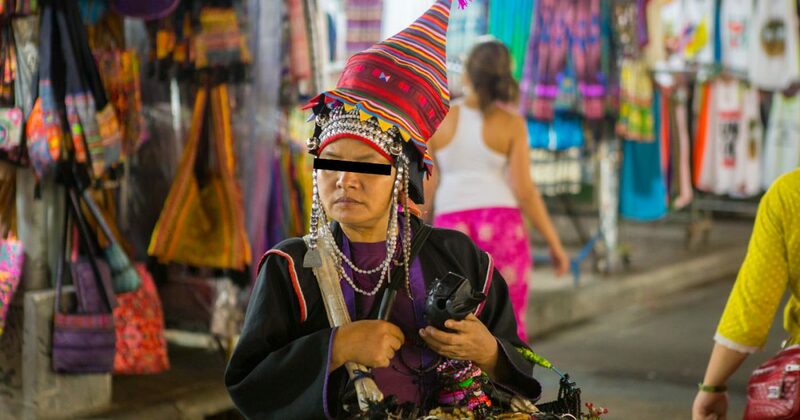 You probably will never wear it again once back home and you sure look like a drunk tourist when you walk down Bangla Road with this on your head! Does it matter? Not a bit! 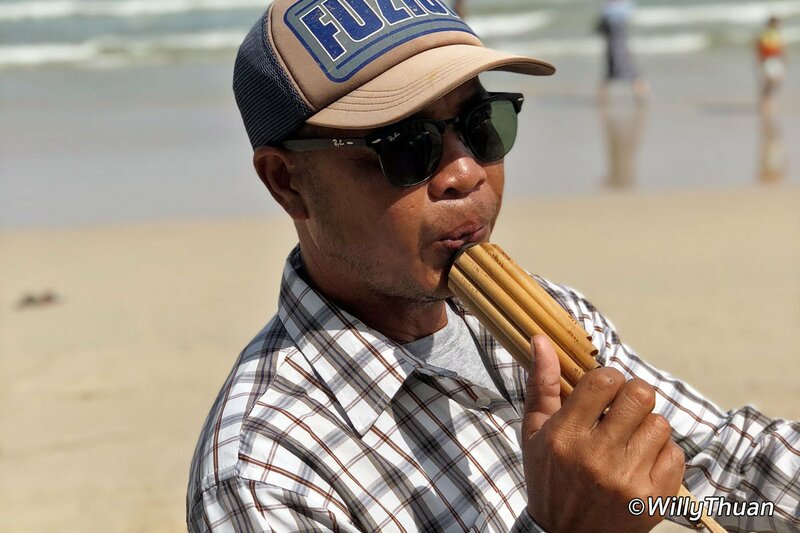 Have fun because that is what Phuket is all about anyway. A lot of people buy one of these because they look exotic and colorful when nicely aligned together on a shelve in a shop, but once you try the one you bought at home (especially the pick one) you will think twice before going for a jogging in the public park of your town. 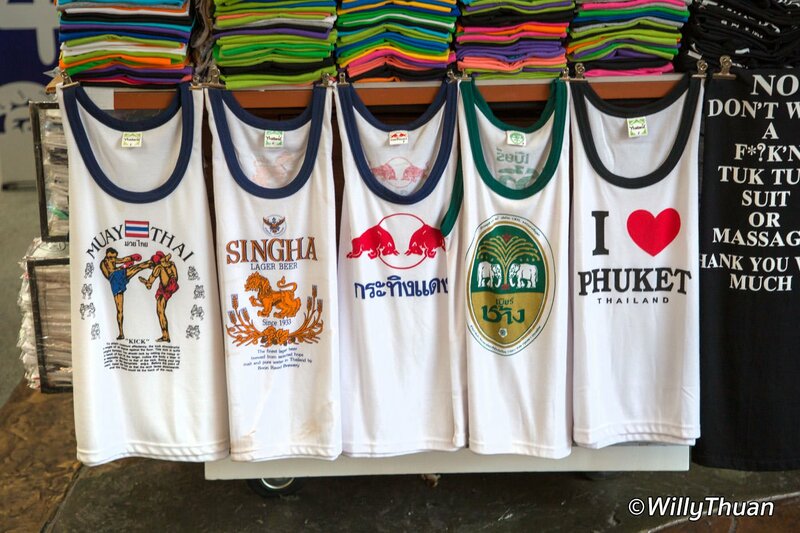 We never saw anyone walking around in one of these in our many years in Phuket. 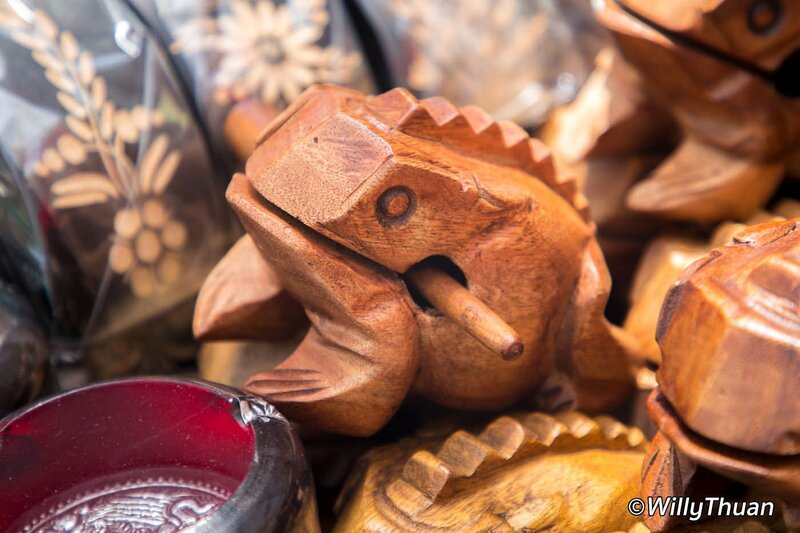 Those wooden frogs produce quite a convincing frog noise when you rub that wooden stick on their back. 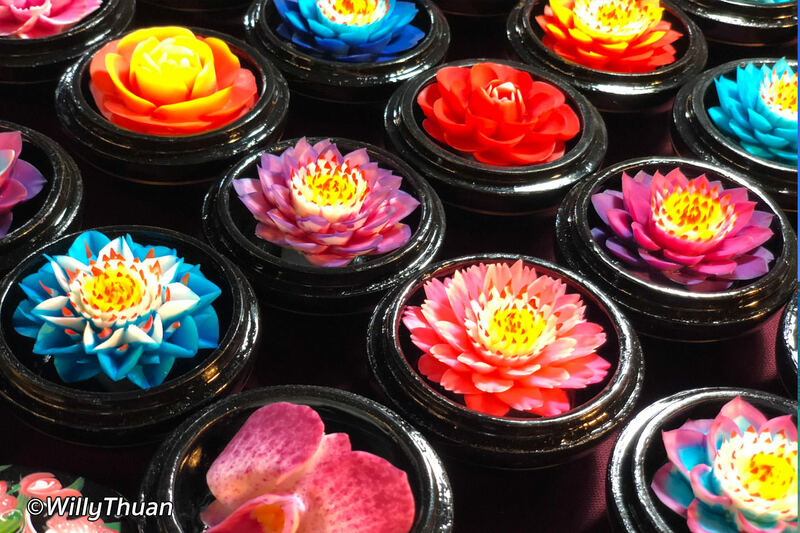 Cute, entertaining and silly, they are one of the popular tourist souvenirs people buy all over Thailand. 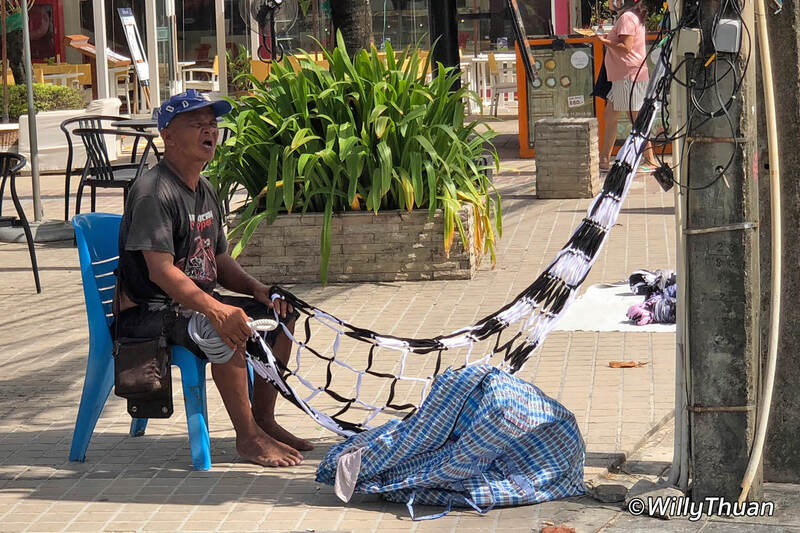 They are so typical of Phuket (and Pattaya) and only tourists will wear them, but they are cheap and convenient when it’s hot and you only packed too hot stuff before coming to Thailand. 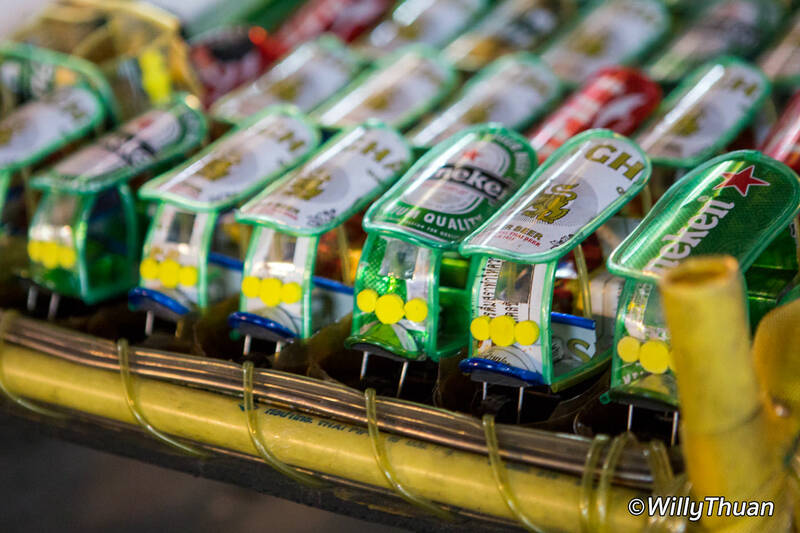 Here are tuk-tuks made from a recycle beer can… and these are particularly badly done (They are Bangkok Tuk Tuks anyway, Phuket don’t have these). Would you buy one of these? well apparently some people do! You throw them high in the air with a rubber band and they spin slowing back down with a few LED lights to add to the fun. They are entertaining for few minutes and your kids will love them. You will certainly loose them soon because they have the bad habit to land on roofs. At least those plastic things are cheap. Hammocks always trigger visions of lazy afternoons reading a book in the shade of the two majestic trees you hanged your hammock to. The truth is that those are pretty uncomfortable as your body will be in the shape of a banana. You don’t even have those 2 trees anyway. 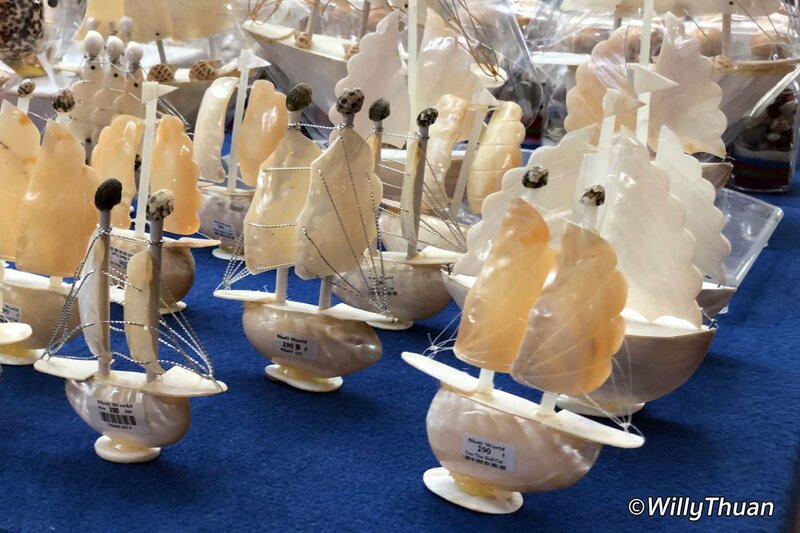 Those are boats made with shells… nothing to add, but I can think of 5 better ways to spend 290 baht before breakfast! Those are last in the list because they can actually be cute and it requires skills to carve them out of soaps. They also smell good and can be kept in a closet.